US scramble fighter jets as Russian two war beasts flying within the perimeter of international space on 26 January 2019. The Russian military drills put the US and Canadian defences on high alert over the weekend after two nuclear bombers were spotted flying over North American coastline. 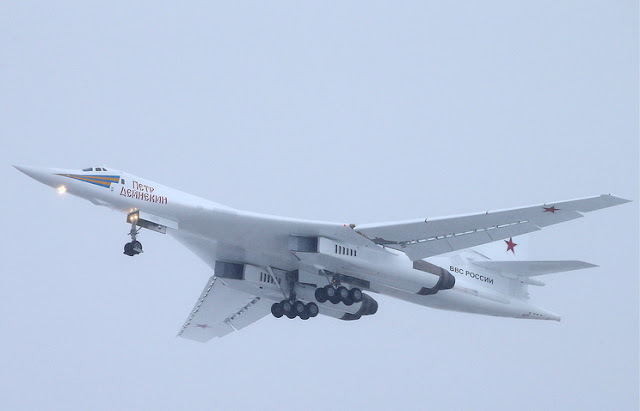 The two Tupolev TU-160 strategic bombers were performing air exercise as part of usual flights across the Arctic and alleged to breach the Canadian Air Defense Identification Zone. This prompted a desperate scramble for fighter jets to patrol the region. The US and Canada desperately deployed fighter jets after two Russian nuclear bombers were spotted, the frightening paranoia came amid the growing military tensions. The fighter jets from the US and Royal Canadian Air Force escorted the Russian bombers out of the airspace and no conflict was reported between the two sides. The Russian Defence Ministry later insisted that the Arctic drill was performed over neutral waters of the Arctic Ocean, the Barents Sea, Laptev Sea and Kara Sea. North American Aerospace Defense Command (NORAD) agreed that the Russian planes remained in "international airspace". As according to NORAD feed back revealed that when the E-3 Sentry Airborne, two F-22 Raptor fighters and two CF-18 fighter jets dispatched they positively identified two Russian Tu-160 strategic bombers. But the Bombers were still remained in international airspace and did not enter the sovereign territory. On Saturday, the Russian Defence Ministry said that two Tu-160 strategic bombers had carried out a planned flight route over the neutral waters of the Arctic Ocean, spending over 15 hours in the airspace. The ministry noted that all flights had been conducted in strict accordance with the international rules on the use of the airspace. The Tupolev Tu-160, also known as ''White Swan'' for its huge white wings reaching a 55-metre span. Tupolev Tu-160 is a 5th generation and supersonic strategic bomber developed in the early 1980s. The jet can reach Mach 2 speeds and fly up to 12,300 kilometres without refueling. Tu-160 can also carry up to 40,000 kilogrammes of military ordnance, such as 6 Raduga cruise missiles or 12 Kh-15 (NATO codename AS-16 Kickback) a short-range nuclear missiles. Russian Tu-160 strategic bombers returned to home airbase after the flight to Venezuela/RDF. 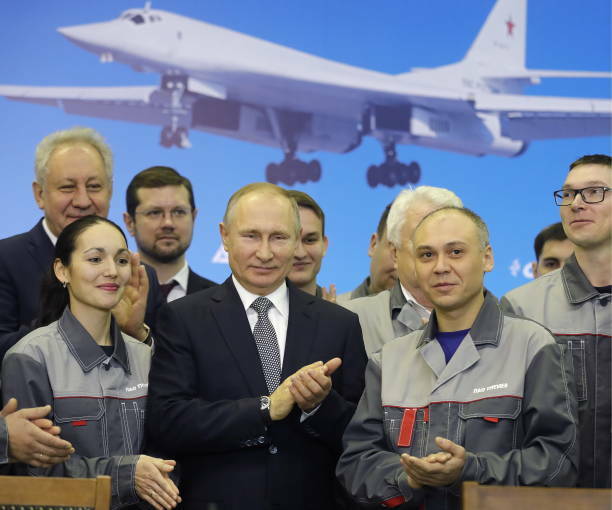 Upgrading: The strategic bomber Tupolev-160M is to be provided with new upgrading system as planed for the Russian military in year 2021, Defense Minister Sergei Shoigu said on Wednesday 30 January 2019. "The work on producing the upgraded Tupolev-160M proceeds on the time. The first serially plane will be provided to the Russian military in 2021," Shoigu said at a conference in Kazan devoted to Russian Aerospace Force hardware maintenance. 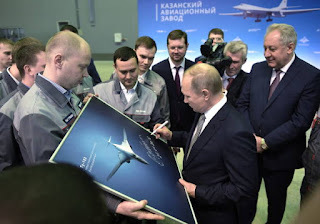 Shoigu recalled that on instructions from the supreme commander-in-chief the Kazan aircraft building plant had resumed the production of a fundamentally upgraded Tupolev-160M. "It will be equipped with the newest on-board defense system, up-to-date reliable jamming-resistant communication system and unique weapons, which will considerably enhance its combat capabilities in using conventional and nuclear weapons. The plane will be powered with NK-32 second series engines, which will considerably increase its range and duration of flight," Shoigu said. He recalled that Tatarstan-based industries were working on dozens of major contracts for the armed forces. "By investing considerable funds into the region’s economy the Defense Ministry promotes its development, creates new jobs and improves living standards. Tatarstan’s authorities take care of the military personnel’s housing problems. 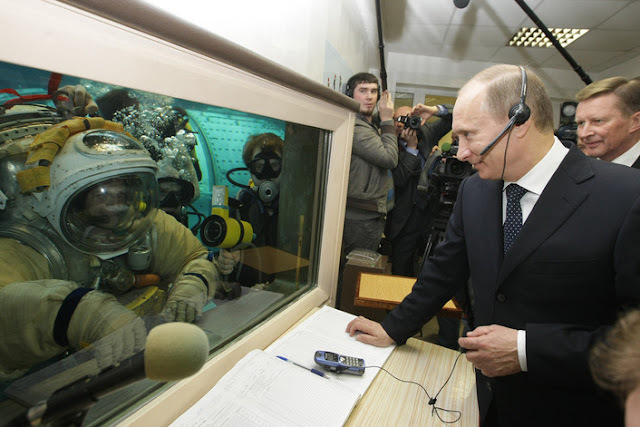 We hope that it will be so in the future," Shoigu said.